Two-year diploma course in homeopathy pharmacy to be started by Delhi Government.The ‘Diploma in Homoeopathic Pharmacy Course' will be introduced by The Board of Homoeopathic System of Medicine under the Health Department of Delhi government as per provisions of Delhi Homoeopathic Act, 1956. Candidates will be eligible to work in government hospitals as well as operate state-run dispensaries in the national capital after completing this course. The course was notified by the Delhi Government in an official gazette. 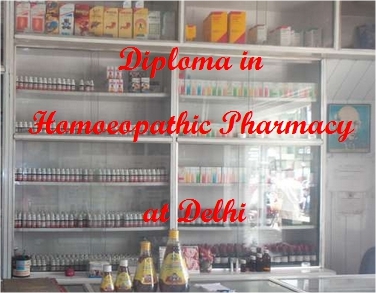 Those completing Diploma in Homoeopathic Pharmacy will have job opportunities in government sector like homoeopathic medical colleges and hospitals, Delhi government dispensaries, private homoeopathic clinics etc. They can also open their own homoeopathic pharmacy or chemist shops. The eligibility criteria for the course, also called homoeopathy compounder course is Class 12 or equivalent examination. The candidate should have studied in science stream during the last two years of schooling. The theoretical and practical training will be provided in the course. K K Juneja who is the board chairman said that this a course is a landmark and milestone in the development of science of homoeopathy and is a historic addition for homoeopathy in Delhi and India. Out of the total medical colleges in the country, only a few them provides in-depth knowledge about the subjects. The initiative taken by the Delhi government is aimed at resolving this issue.